If you follow me on Twitter, you might know that I've been dying for this book since I finished Delirium. Then, when I went to buy it the day it came out and I could not find it in any book-selling stores in my area. I was so upset. Finally, my dad brought it home to me a couple weeks after its release and I almost had a stroke because I was so frackin excited. At least the wait was worth it. So so so so so so so so worth it. Lauren Oliver brings back everything we adored in Delirium--beautiful prose, a haunting society, high emotion, relentless tension--and even more: edgier writing, sharper beliefs and goals, and a much tougher lifestyle. Lauren Oliver has created yet another book that will rage in my soul for my entire life. 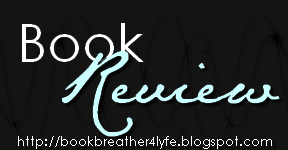 I don't even know how to coherently express my love for this book, besides, "OMGOMGO MGKDGNIQUERBGIBDNKASFJN FGIHJBFGVAN AHHH YAYAYAYAYAYAYAAYAYAYAYYAYAYAYAYA OMG. PWENFHOIABXCKJFD!" I feel like Lauren Oliver took a stroll through my heart and discovered exactly what will make me love and break my heart and BLOW MY FRACKIN MIND. Because that's what she does. Every word builds me up to break me down to build me back up. I'm not sure how she manages to fit all these feelings in one book, but she does. This book has a lot more action than the first. Whereas Delirium was about Lena discovering what she wants and figuring out how to grab hold of it, Pandemonium was about Lena fighting for what she wants and struggling to hold on to it. The book alternates between "Then" and "Now." In the 'Then' section, Lena has just arrived at the Wilds and she is struggling to recuperate--physically and emotionally. And yet, she doesn't back down. She wants to get her strength back and she wants to carry on. She turns her weaknesses into strengths. We're introduced to new characters, which I absolutely fell for. They all have an air of mystery surrounding them because nobody in the Wilds is particularly fond of discussing the past. But their strength and kindness is evident even if their lifestyle is harsh and their words are terse. There's a lot of despair and hopelessness in this section. In the 'Now' section, Lena has created a tough outer shell around herself. She tries not to think of the past and just keep doing what she knows is right. I think I liked this section a lot better than 'Then.' This section is just a little more fierce and contains a lot more action. I also feel more connected to Lena in this section. I just couldn't bring myself to fall for the new guy. I mean, not even just because I adore Alex and I miss the hell out of him in this book. But also because the new guy is so naive that I just get this little boy vibe from him. I just couldn't. I mean, he's a good character but he's not good for Lena, in my opinion. I also missed Hana and Grace. I haven't read the Hana novella, so I'm not sure what happens to her, but I do hope she will be in the next book. The ending, of course, was epic. While I kind of expected it, when it happened I was completely taken aback. I expected nothing less from Lauren Oliver. She rips me apart and stitches me back together over and over and over in the best possible way. I cannot wait for the next book. This is a series I am one hundred percent invested in and will never forget. It makes me feel so much more than I can possibly describe. 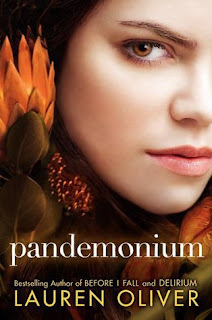 Loved Pandemonium. I find it so interesting that in reviews, people almost always say if they preferred the Then sections or the Now sections. I seriously don't think I've found one negative review for Pandemonium. I haven't started this series yet. I know I need to. I'm glad you enjoyed it so much. Great review!